We last posted an update on the upcoming site update back in December, so what’s going on and why isn't the update here yet? Aside from improving our news and review system, analytics is one of the biggest features to our site & community something we want to continue to improve and deliver new tools to content creators. This is something that has caused a delay in this update going forward, reason you ask? Just before December 2016 we quickly realised with a couple of the new features we we’re going to need to scale up our hardware to be able to pull data quick enough, MySql wasn’t cutting it anymore in fact it was causing issues. So we’re turned to Microsoft Azure, this allows us to store and pull vast amounts of data fairly quickly. So enough technical talk about delays what’s new! 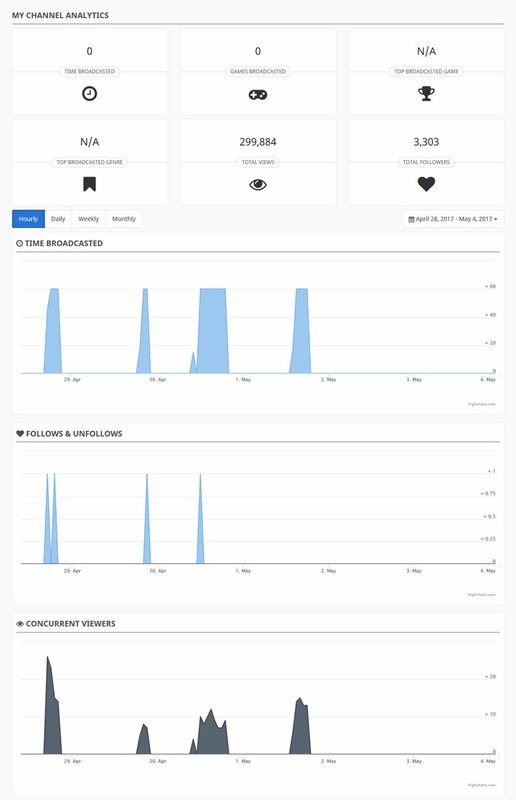 With our analytics you’ll be able to not only do Daily, Weekly and Monthly breakdowns but now hourly breakdowns, something we feel is much more beneficial in the dynamic fast evolving streaming community. We’re stepping away from the old system where users simply typed in their Twitch username when registering. Instead we’ll be implementing the ability to connect your Twitch account directly to the site. This enabled quicker sign-ins and also verifies that you’re the owner of said account preventing others viewing your channel analytics. This also allows us to offer a more feature enriched experienced when logged in with your Twitch account, such as following channels directly from the site. The great side-effect of getting all of the technical nitty-gritty out of the way is that’ll allow us to start working towards the other side of our site. More importantly, it means we’ll be able to start getting you guys more involved. Namely with creating content under the Senshudo banner. This is a change we’ve been wanting to get made for a while and with the advent of some incredibly shady dealings with some other outlets of recent times, we’ve decided to increase its priority. We’re aiming for a July/August release date for this (after the ridiculous avalanche of post-E3 work) to get you guys geared up for getting hands on. In preparation for this, we’ve cobbled together a rough outline of how we envisage this working. We pride ourselves on being transparent and fair to everyone we deal with and hopefully you’ll agree that we’re carrying it across with our new program for content creators. Take a look at it here and while it's subject to change, this is quite likely to be very close to what we post for all to see on the submissions portal.